Prestigious Champagne brand Dom Pérignon makes available the Dom Pérignon 2008 – made in a challenging year – here in Singapore. One generally has to wait some time before Dom Pérignon announces the release of a new vintage. And because the brand only makes vintage Champagne – that is, they don’t make multi-year cuvées – you don’t even see anything in years of weak harvests. Most recently, Dom Pérignon fans were left wanting in 2001 and 2007 when no vintages were released. The 2008 vintage of Dom Pérignon almost didn’t make it. 2008 was a year of mostly overcast skies that made ripening of berries a dicey affair, an anomaly in a decade full of sunshine threatening the year’s vintage altogether. Only a warm September saved the harvest that year at all. And even then, it took longer in the cellars to age. In fact the 2009 vintage was ready before its predecessor, and was released first – the first time a wine has been released out of sequence in Dom Pérignon history. But the 2008 vintage of Dom Pérignon was also special for another reason. 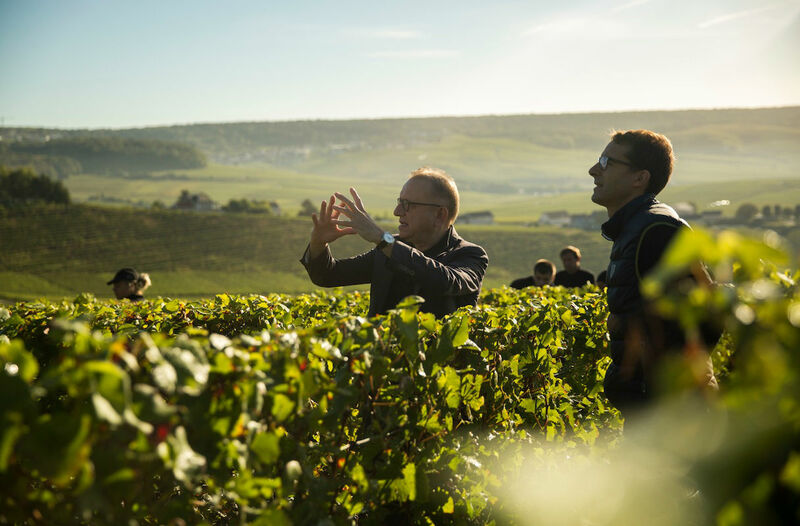 This release was accompanied by news of a changing of guard at the Champagne house; Moët & Chandon announced that as of 2019 chef de cave Richard Geoffroy would be succeeded by Vincent Chaperon. Not that much would really change any time soon; Chaperon has been working closely with Geoffroy since 2005 and would be intimately familiar with the style of Dom Pérignon. Thankfully, Geoffroy and Chaperon declared in mid 2018 that the Dom Pérignon 2008 was finally in its “First Plenitude” and ready to market. And to mark the handover, Dom Pérignon also bottled a special version of the 2008 vintage called the Dom Pérignon 2008 Legacy Edition. That version sees the names of both chefs de cave – old and new – emblazoned on both bottle and packaging, making it collectible if you can get your hands on one. As can be expected from a year that sees ripening challenges, the Dom Pérignon 2008 can be somewhat elusive on the nose. But when the bouquet does open, you’ll find a touch of citrus and stone fruit with some dried bouquet garni. As for the palate expect intense Meyer lemon, kaffir lime and a hint of rosemary. The yeasty, almost eggy notes that was a hallmark in the very generous 2009 version isn’t present here. There’s a bracing structured mineral acidity here that offers plenty of aging potential. The Dom Pérignon 2008 Legacy Edition is sold out, but the regular Dom Pérignon 2008 is available through specialist wine retailers – Oaks Cellars sells it at S$257 – as well as through Moët Hennessy Diageo Singapore’s direct sales channel. Interested buyers can contact Moët Hennessy Diageo Private Client Manager Clementine Wee at clementine.wee@mhdsg.com. Price is upon asking.